It’s back! 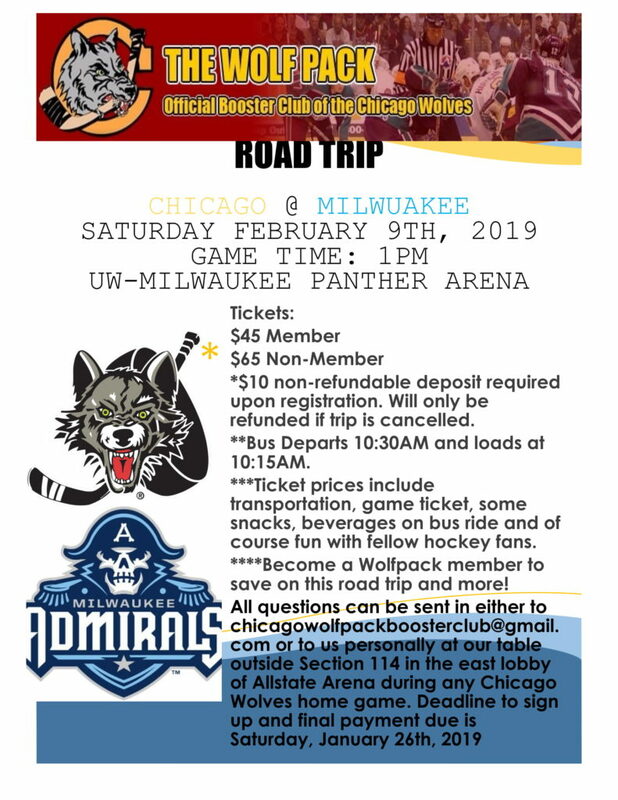 The Chicago Wolfpack is putting together a road trip to Milwaukee! Sign up now! 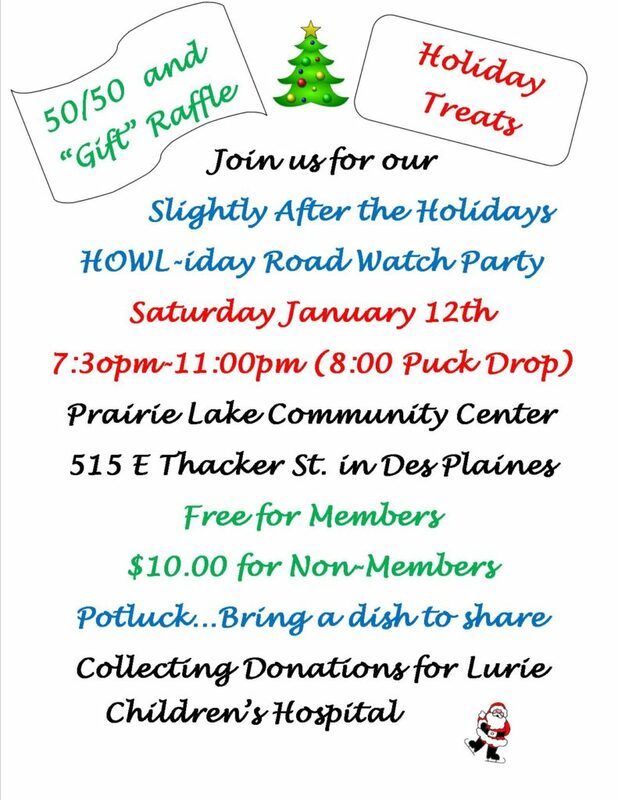 Our next general meeting of The WolfPack, Chicago Wolves Booster Club for the 2018-19 season will be on Sunday, November 25th at Buona in Rosemont following the Chicago Wolves game against the Rockford Icehogs. Please come join us for our meeting!